Green Clean Junk Removal offers the most friendliest junk removal service in the business. 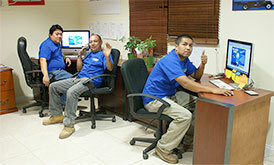 Our crew will arrive with a smile and ready to get your job done. Once our crew arrives with our work truck, you will see the difference and experience the best customer service around. Just point to your trash and our service crew will get ready and started on removing all of that debris. We have the knowledge and manpower to work in a concentrated effort to remove your trash from your property. You shouldn’t have to hassle yourself with getting rid of that unwanted junk yourself when our crew is available to get the job done on time. Nice work. By doing this you are keeping a great contribution to our environment. Nice fella’s. Called them up and scheduled some jobs. Thanks guys, now i know who i’m talking too everytime i call. these guys are the BEST JUNK REMOVAL company around! call them today!